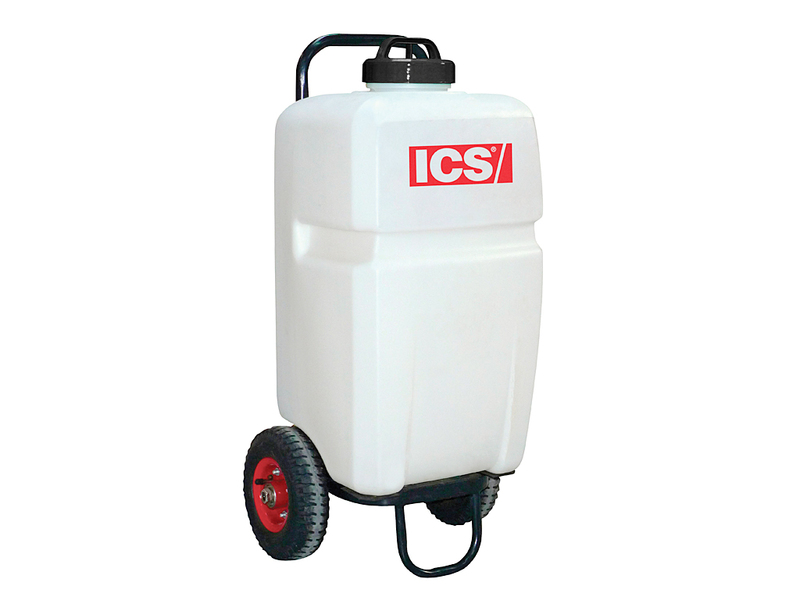 When water isn’t readily available, this corrosion resistant poly tank provides the solution. 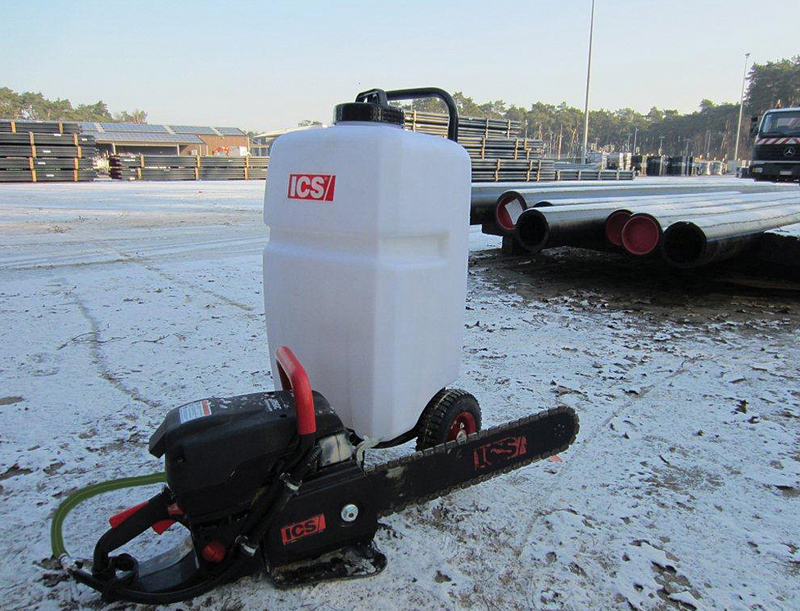 Able to hold up to 35 litres, this tank offers the required pressure and flow that ICS power cutters require. The diaphragm High-Flo pump provides 4 lpm at 35 psi and comes with molded alligator clips for 12v battery hookup. Comes with a whip fitted with a standard hose end, ready for any regular hose you desire.